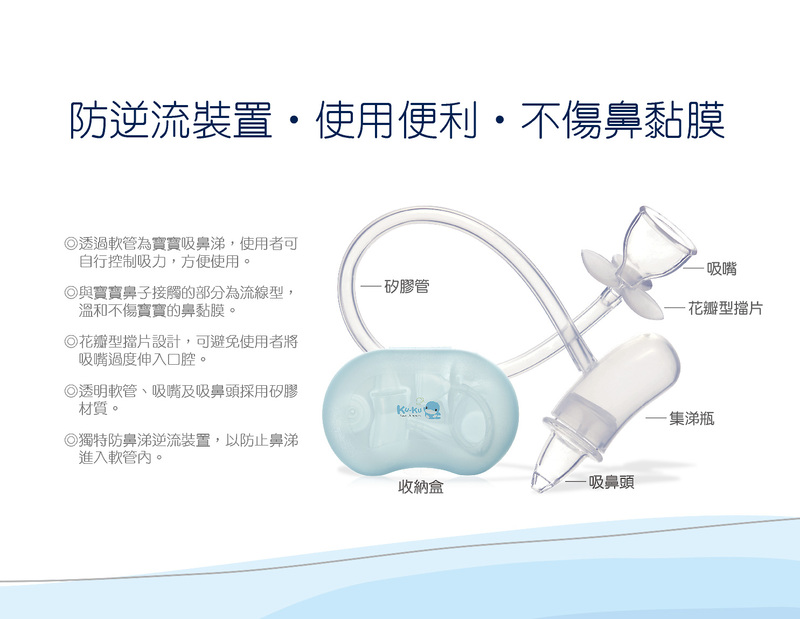 1.The suction is controlled by your breath, giving you total control over the comfort of your child and removal of mucous. 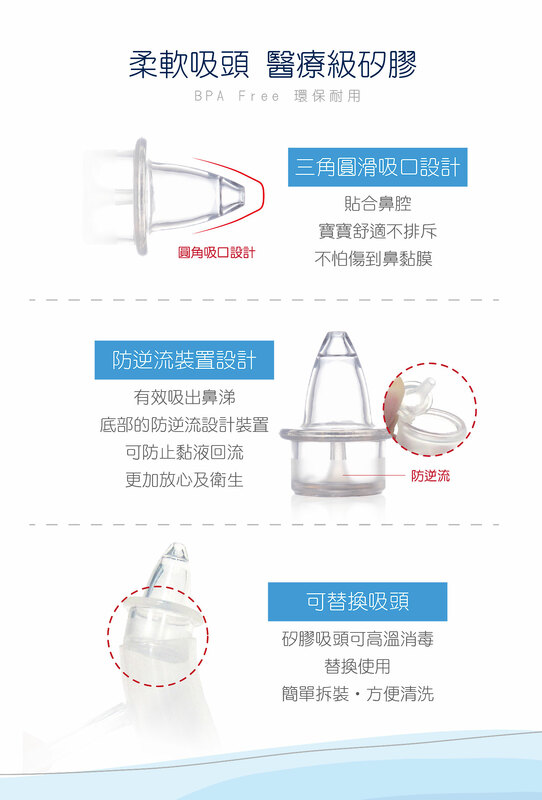 2.The design of the tip that easily goes on baby’s nose. 3.Mouthpiece is with a stopper preventing less of the product to go into your mouth. 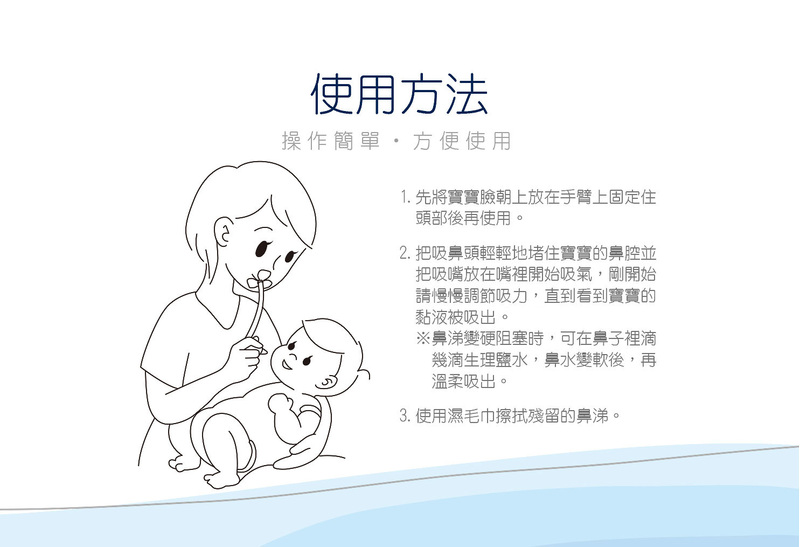 4.Soft, flexible and clear tip comfortable against your baby’s nose. 5.The protruding tubs inside the tip and tip base will protect you from getting anything near your own mouth. 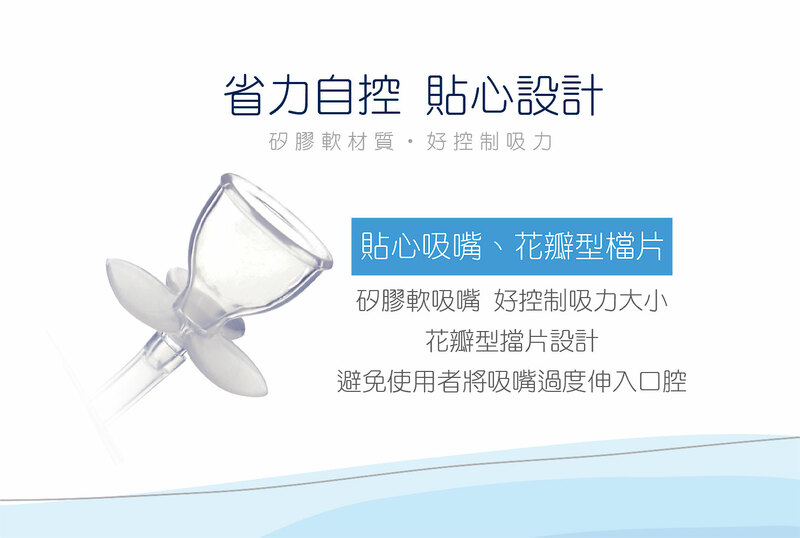 1.Never push the aspirator too far into the nostril. 2.Never use in baby’s mouth or ear. 3.This product is not a toy and must be used under adult supervision. Do not allow children to play with it. 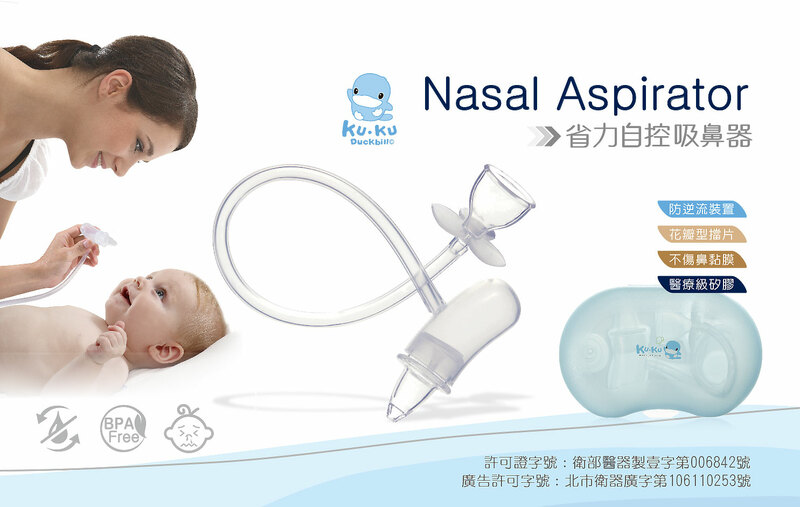 1.It’s important to clean the baby nasal aspirator before first use and after every use. 2.Remove the aspirator Tip from the Tip Base and squeeze the lower part of the Tip to make the Lid to be opened and flush away the mucus, then wash it either on the top-rack of your dishwasher, or with warm, soapy water. Rinse well and allow to dry. Microwave safe. 3.When storing, keep away from heat and bright light. Place your baby face up on a changing table or bed. You can also hold your baby, tucking their arms in or on your lap with his head on your knees. 1.Insert the Tip gently into your baby’s nostril. Place the Mouth piece in your mouth and gently breathe in. ※Often the mucus may be thick or dry and you cannot aspire. 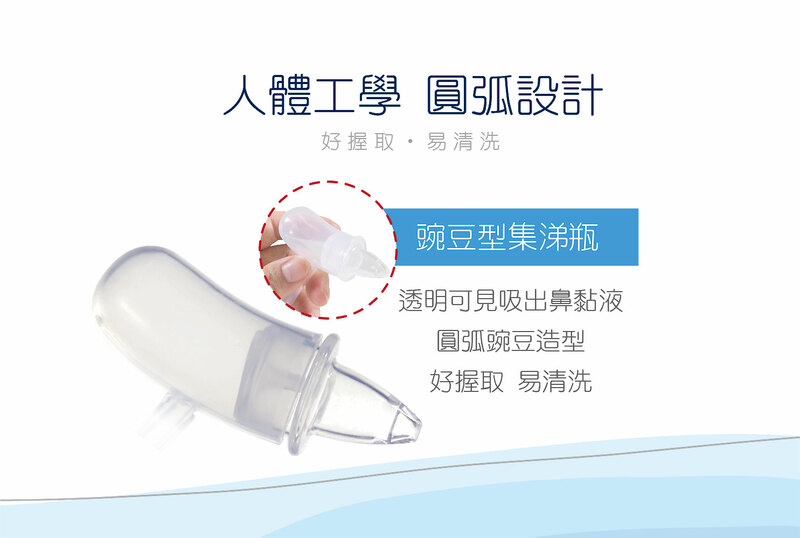 In these conditions, vials of saline are used to soften the mucus and then apply suction. 2.Wipe off any remaining residue with a dampened baby washcloth.